Work for BCE Nexxia Corporation? Learning about BCE Nexxia Corporation? What Internet Service Providers (ISPs) solution do you use? Helping enterprises navigate their digital transformation by providing collaboration and guidance to build the right networking ecosystem for business. CenturyLink Fiber+ delivers high-performance communication services essential for business today. Delivered over a direct fiber connection to the building, Fiber + includes business-class fiber-based Internet access and voice service with advanced calling features. Plus, cloud-based applications for email, web hosting, and data backup. * We monitor all BCE Nexxia Corporation reviews to prevent fraudulent reviews and keep review quality high. We do not post reviews by company employees or direct competitors. Validated reviews require the user to submit a screenshot of the product containing their user ID, in order to verify a user is an actual user of the product. Hi there! 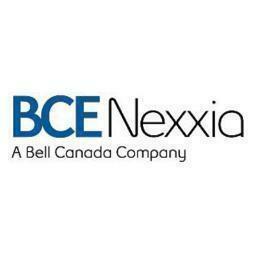 Are you looking to implement a solution like BCE Nexxia Corporation?